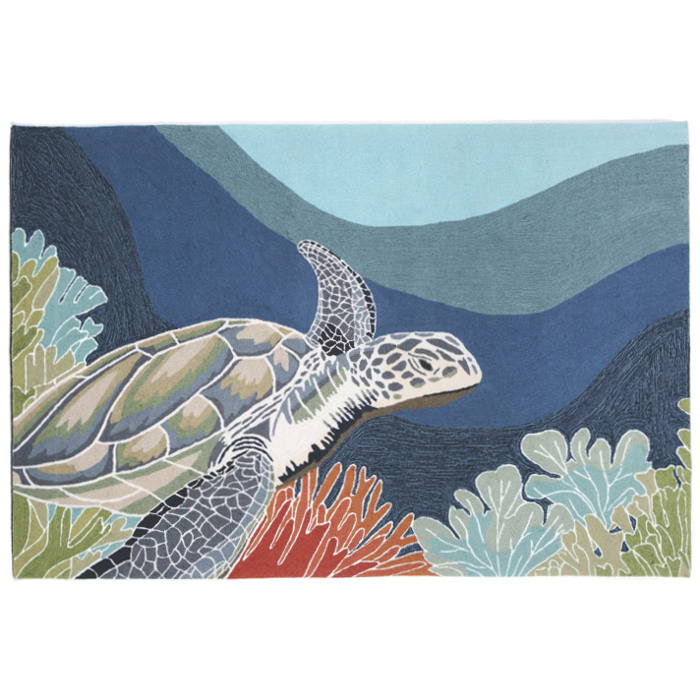 Akumal Ocean Indoor / Outdoor rug features bold colored rug with sea turtle. This modern design has a coastal look that will freshen up any room or out door area. 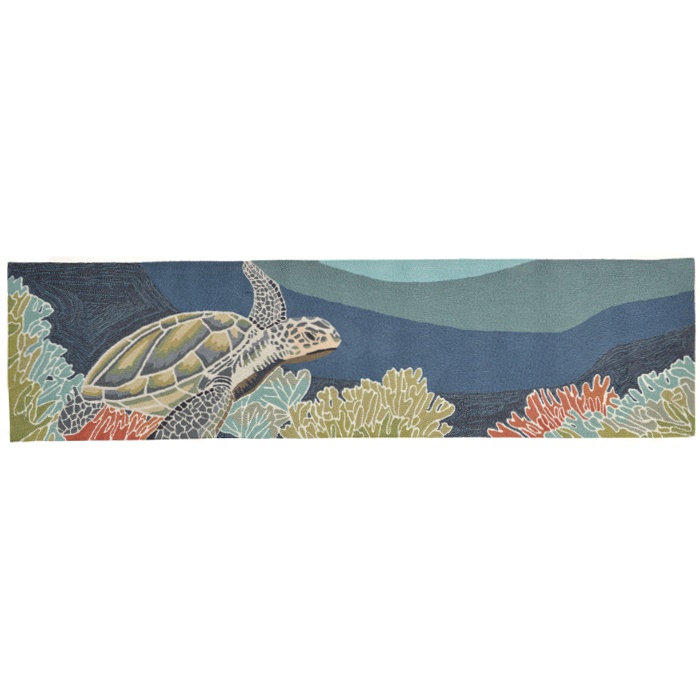 This is a beach themed rug perfect for a coastal themed room or beach house. The content and quality of this hand tufted, synthetic blend coastal area rug will hold up to indoor or out door use. All beach themed rugs offers a rich textural surface while being durable enough for any high traffic area of your beach home. Intricately blended colors add visual appeal to these designs. Liora Manne Frontporch Beach Trip Indoor/Outdoor Rug - Blue, 20" By 30"